We are a well established and highly reputable family-run roofing contactor based in Rayleigh, Essex with over 40 years of experience. We cover Essex & The South East for residential, commercial and industrial roofing work. Flat roofs can be problematic at the best of times but using the best materials and highly skilled professional tradesmen, we can set you up for a leak free future for years! 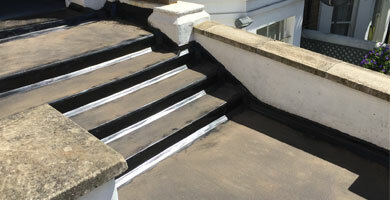 Leaks on flat roofs are a common problem, usually caused by simple wear and tear and exposure to the elements. These should not be left as the problem can escalate quickly. We are specialists in slate and tile roofs and work to only the highest standards offering you a comprehensive service where safety, high quality and a great price come together. If you're looking for roofers you can rely on, come to MJ Roofing. We can install a top-quality roof for your property anywhere in the Essex and South-East areas. Do you need specialised roofing or roof repairs? 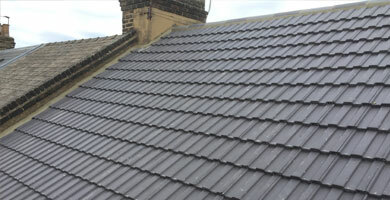 At MJ Roofing, we provide comprehensive roofing services to domestic and commercial customers in Essex. 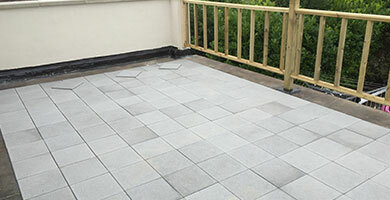 MJ Roofing is a well established and highly reputable roofing contractor based in Essex. We provide a first class roofing service for residential, commercial and industrial clients throughout Essex and the South East. We have a reliable, honest and highly skilled professional team which enables us to offer you a professional service from start to finish. Our trademen are all friendly and approachable. We work to a professional standard and ar ehere to answer any queries you may have. We will go through everything with you regarding proposed work to be undertaken. We will only commence work once you are completely satisfied of the process. We are a well established and highly reputable roofing contactor based in Rayleigh, Essex. We cover Essex & The South East for residential, commercial and industrial roofing work. © Copyright. MJ Roofing. 2019. All Rights Reserved.